I made them for 2017, so I am late in sharing. The first was really simple to create, using fancy patterned paper (can't recall which one I used), a stitched heart die cut from pink glitter paper, and a stamped arrow which was cut in half and reassembled on the two sides of the heart. The one below in shades of purple, silver and cream was for my oldest daughter, who loves all things sparkly. 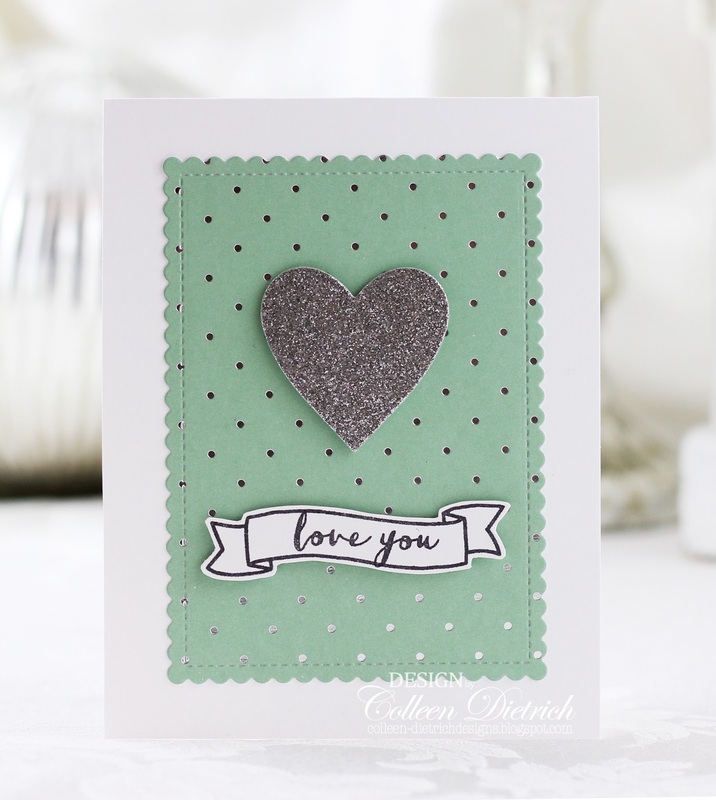 My youngest daughter has a more streamlined vibe about her, and though she isn't as crazy for sparkles, I did use mint patterned paper that has silver polka dots on it, and used a die cut silver glitter heart as well. 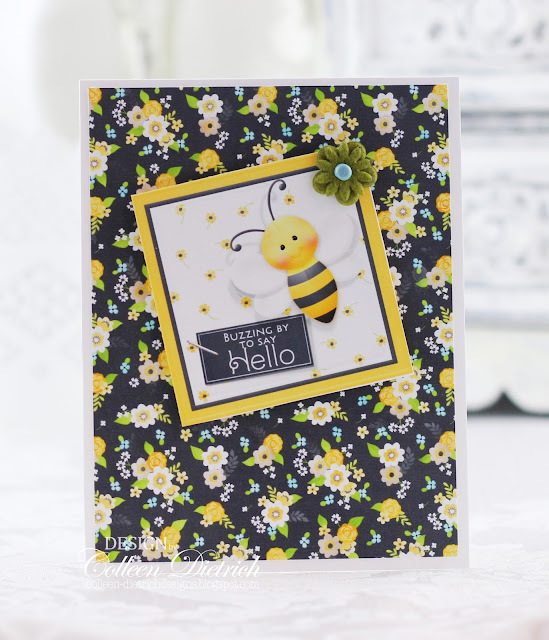 I kept the design of the card to a spare design, though. The sentiment and scroll are from Avery Elle's More Stories stamp set. The purple Valentine below was for my honey. Purple is his favorite color (besides Philadelphia Eagles green! ), and I created a little scene. Just two cats hanging out in a basket, loving each other. 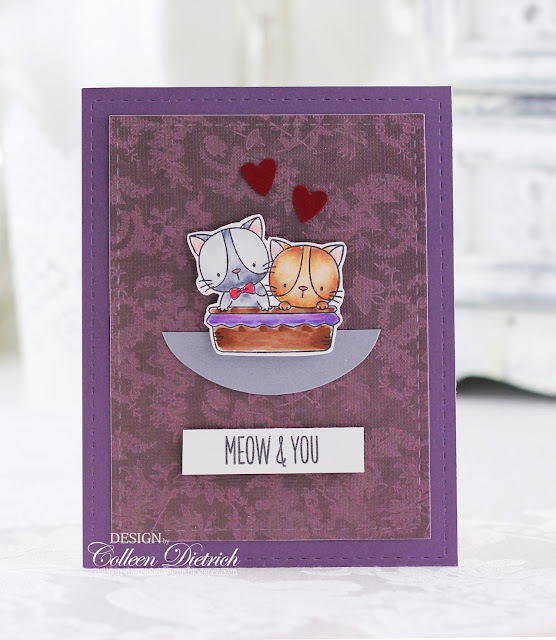 😊 The cats and sentiment stamp are from My Favorite Things Cool Cat stamp set. 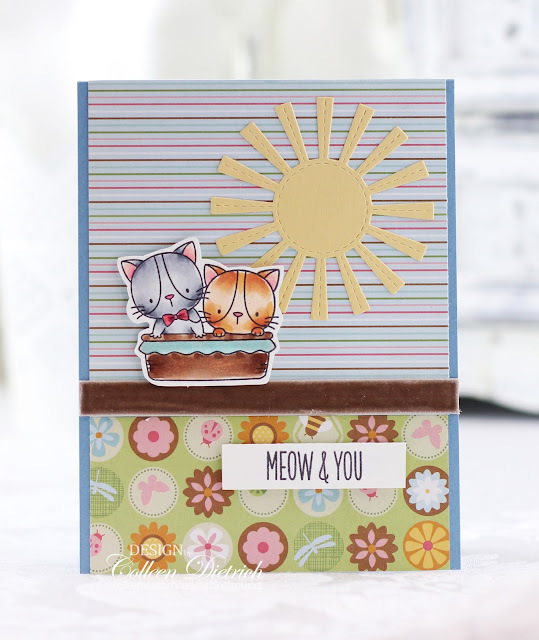 While I had the Cool Cat set out, I made a card for the shop, using some funky patterned papers, cocoa velvet ribbon, and a shining sun (My Favorite Things). And finally, a couple of creations made with sweet digital patterned papers and elements that my aunt sent to me. Aren't they cute? That's it for today! God bless you! Better late than never! I'm so glad you shared these as I always love seeing what you create. 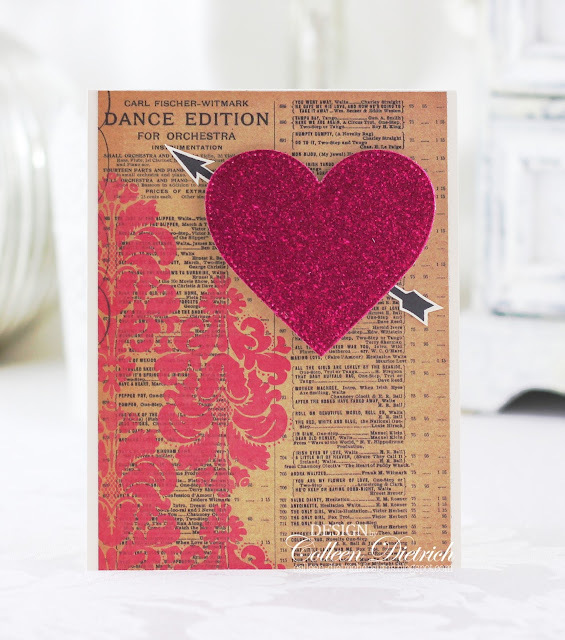 Yes, those last two cards are sooooo darling with the papers and images! Happy birthday yesterday!